GREEN BAY — How’s the Packers’ confidence? The fact that the Packers have lost six of their last 10 games, and their last two heading into the postseason, is of no interest to McCarthy. He mentioned the “disappointment” in not winning the NFC North and acknowledges that no one is talking about the Packers as a favorite to represent the NFC in the Super Bowl, but the destination is not on his mind. Sunday’s game, and winning at Fed Ex Field, is. “This is a chance to clean up our house, and get it ready to showcase who the hell we are,” McCarthy said. In the Redskins, McCarthy sees a dynamic offense that will challenge his steadily rising defense. Big plays are Washington’s game. The Packers’ speediest defender, cornerback Sam Shields, is still not medically cleared and remains in the concussion protocol. In other injury news, McCarthy hopes left tackle David Bakhtiari, who has missed the last two games, can take some practice reps beginning Wednesday. 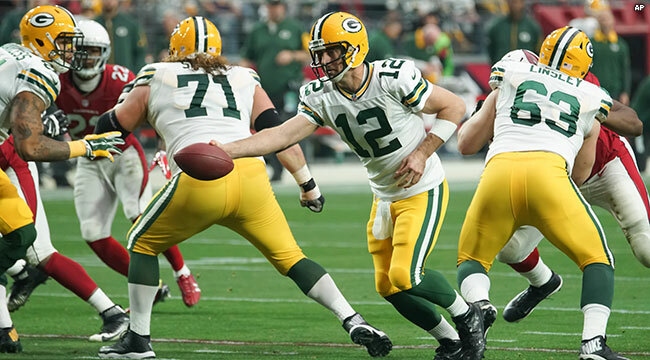 The Packers’ defense has played well, and McCarthy said it now needs to play better. The offense?